The site ran for a bit but got shut down later on because the web host went. A few months later (now in 2000) I thought up an idea for a new web site. The idea was to have a web site for each game. The whole 'network' of sites would have a common name - Ammo. The next biggest game to hit the market was Unreal Tournament. I thought about creating "Unreal Ammo". The site was created but had a mass storage of visitors, this shortly left to its end. The site never really had massive amounts of content either. About half way though the "Unreal Ammo" site I was also making a Quake 2 Mod. I was able to create a fair amount of things in the mod, such as bots, game improvements, new game modes and more. It turned into such a big thing, that I showed it to my tutors at college. I thought about getting the mod on the internet so other people could try it. I applied to PlanetQuake on the off-chance of getting hosted, but never really thought I would. However, I was offered hosting, everyone in my class gave me a cheer, as I was checking my email at college and told everyone. For awhile my "Lee Mod" site was updated, featuring new versions of the Quake 2 mod and news. After the mod came to a end, I stopped updating the site and got into my degree course. 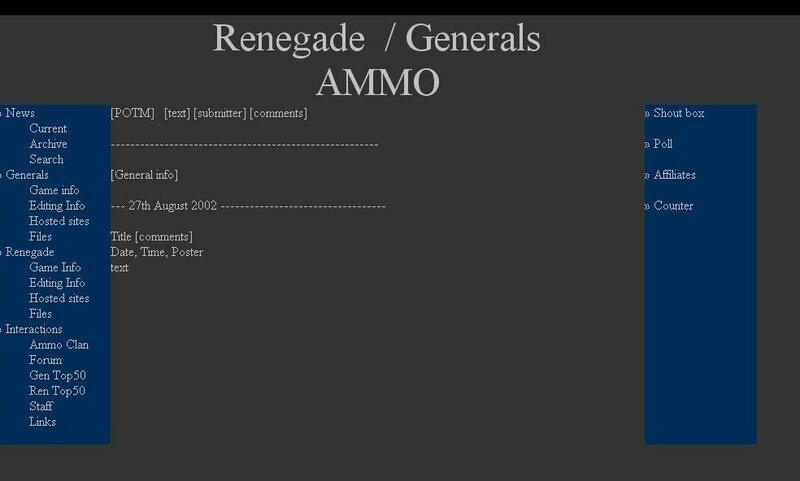 About half way into the degree course, I thought of a new idea, a new ammo, "Renegade Ammo". I thought again about some better hosting, as I knew how many hits I got on PlanetQuake with my "Lee's Mod" site. So I emailed PlanetCNC for hosting, shortly after they agreed to host me. This was when the first 'real' "Renegade Ammo" was started. This was my first site to use PHP. 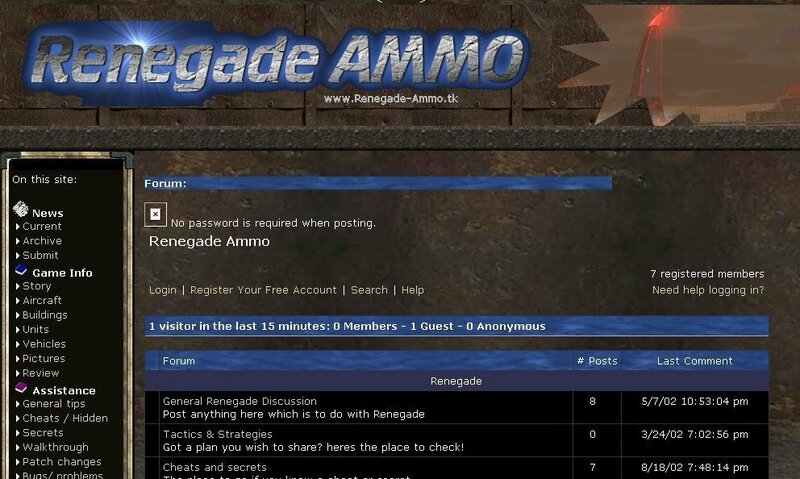 New sections were added to "Renegade Ammo" but the main ones were skins, maps, admin section and boinks. I was creating my own content, but shortly after I was adding other peoples too. After while I asked for some help update the site - A "Mats" offered. He was helpping me add much content to the site, whist I code the site and make skins. 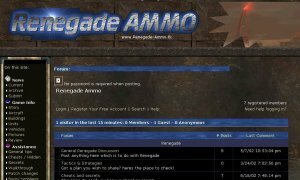 The "Regenade Ammo" grew and grew, hits increasing and more megabytes used. A bit later, westwood (the creators of C&C games) said that they were took over by EA games. At first this sounded like it was the end of all C&C games, however a new "C&C" was being created - "Generals". I thought how easy I could create another site for "Generals". Seeing im already hosted on PlanetC&C, I could host it there. I created a new site just for "Generals". 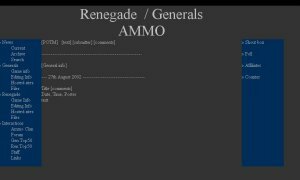 The site didnt recieve anywhere near "Renegade Ammo" hits, so I thought of combing the two sites into one. 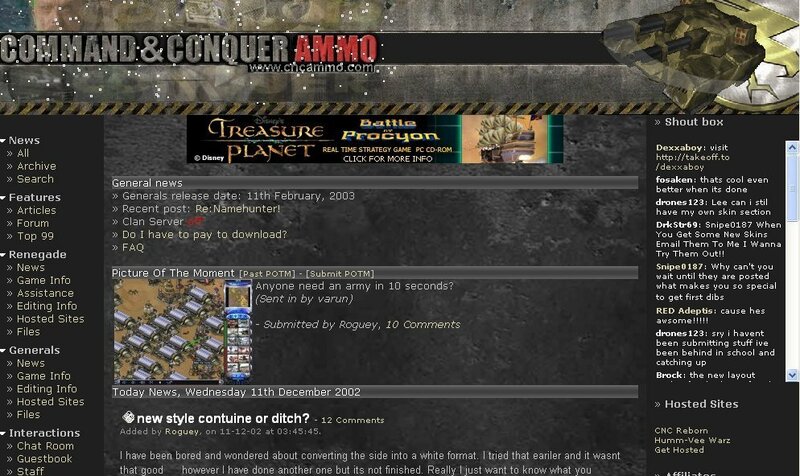 A "Command and Conquer Ammo", this was going to lead to my biggest site let. The site grew and grew, hitting 1,000 unique hits a day and over 4Gb of web space. 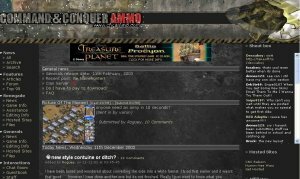 At the time "C&C Ammo" could offer a lot more than the "main" PlanetCNC site. I think this was one reason why PlanetCNC pulled hosting on "C&C Ammo". Shortly after PlanetCNC started to add thier 'own' maps, skins etc. sections. A long time past, "C&C Ammo" wasnt a site I could easy forget, nor could any of the staff - specially Mats. I wanted to have a site again, but not lose control like "C&C: Ammo". I thought about going back to my first ever site and doing something like that again but with the skills I have learnt. The site however would not become a 'generic' site either, but have my own content. This formed into - "Roguey's Site". This site used a fair amount of PHP code from "C&C: Ammo" but only the code I wrote. This time I could create a far more complex site and keep it all my own, from content, coding and design.